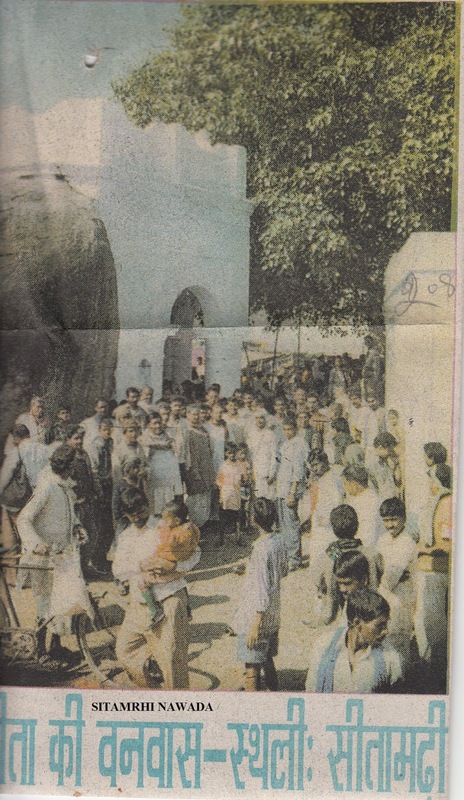 ABOUT THE SITE- The mentioned site is a religious place as per the story of Ramayan the religious story of the hindus.Sita wife of Ram was convicted and evicted to jungle on say of a washerman who convicted and evicted his wife for one night absence of his wife from the house saying that he was not Ram who kept Sita knowing fullywell that she remained at Ravan residence for long. So this is the place lived in forest.This is attributed by temple in a cave at village named Sitamarhi.Twosons of Sita named Lav and KKushwere also born here2TThere is a wide mouth jar(kathauta) like ditch in a stone slab where Sita used to wash clothes of Lav and Kush3Sita used to take bath in( Now a days the river named Tilaya was then called) Tamsa as mentioned in Balmiki Ramayan 4 Balmiki ashram is also by the side of the river.5 Ashram of Atrimuni teacher of Balmiki is bit away from here in Atri tapoban.Now a days it is called Atri..East of the river Kushagram is near Narhat where maharshi Balmiki used to meditate over lord Shiv. These facts find mention in Historcal notes on district Gazetier Gaya 1885 by Gorge Griayarsan “Gaya Gazettier1919byMLSOMelli’Nawada rediscovered 1973 and administrative report Nawada district 1973 J C Mathur has also confirmed river Tilaya as TTamsa. OTHER SITE-Hill view and green valley. FESTIVITY-Four days festival on Aghan fullmoon day married ladys worship here and place cloth pieces in the stone ditch ,after being blessed by a son child on this occasion. PRECAUTION-The district is naxal affected. RREMARK-It shoud be included in state tourism programme.